Here's my Yummy Sunday for this week, Fried Shrimp. One of my favorite sea foods. It's easy and quick to cook during special occasions. That's so yummy, promise!!!! You can view more yummy foods if you click the logo above. Thanks to Janet for hosting this yummy Sunday meme. Have a great weekend to all..
Norms, may batter ang shrimps? Hmmm... parang ang sarap ah? Mine is posted here. Hope you can stop by as well.. Happy weekends! 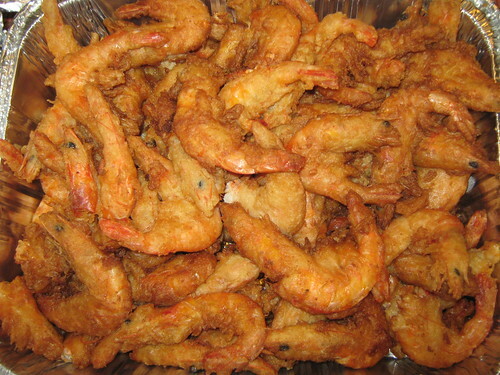 the fried shrimps look so yummy. i might include that in my menu for this week. arrgghh! LOL. The shrimp looks good! I love shrimp but I prefer when they're not fried. But I would eat them fried too. Oh, this is the first I've seen this photo meme ... and now I'm really hungry! LOL Looooks sooooo goooood! my fave seafood too. yummy!! !